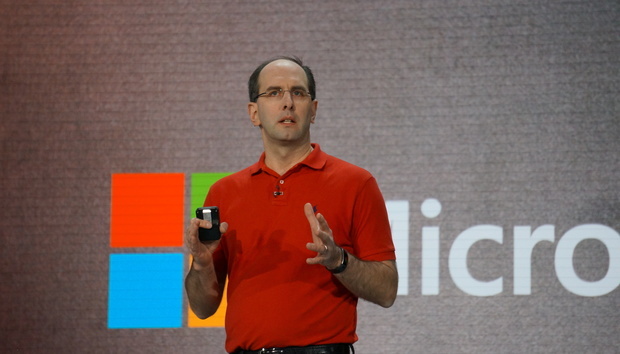 Microsoft continued its push to get companies on the hybrid cloud train on Monday, with the launch of several products all tailored at helping bridge on-premises datacenters and the public cloud. The company announced that Windows Server 2016 and System Center 2016 will be available for purchase on October 1, and generally available in mid-October. On top of that, it unveiled new Azure functionality that makes it easier to monitor both public cloud infrastructure and on-premises datacenters in one control plane. The second technical preview of Azure Stack is now also broadly available, after Microsoft launched it in private beta last month. All told, these announcements are aimed at making it easier for companies with on-premises datacenters to connect those environments with Microsoft's public cloud and gain benefits from that. It's one of the things that helps differentiate Microsoft from its competitors in the cloud market, especially Amazon and Google. As part of the launch of Windows Server 2016, Microsoft announced that customers of its server software will get the commercially supported package of Docker Engine at no additional cost. It's a boost for companies that are trying to take advantage of containerization technology to improve their development workflow. Azure's monitoring console will let users see both their cloud infrastructure and their on-premises infrastructure in one console, thanks to an integration with Microsoft's Operations Management Suite. "And so now, if you go into the Azure portal, you'll have both management capabilities for all of your Azure infrastructure, but also now all of your on-premises infrastructure," Microsoft corporate vice president Julia White said in an interview. "Be it VMware on-prem, it could be OpenStack or whatever, or across cloud as well." Azure Stack's second technical preview will give companies access to new services, including Azure Key Vault and Azure Queue storage. It will also include a preview of new capabilities, including monitoring and capacity planning, which are aimed at helping organizations get used to Azure Stack's capabilities for rapid adoption. That adoption will still take some time -- Azure Stack isn't slated for availability until next year, and it will only be available through a handful of integrated systems sold by Microsoft partners. Would You Tell Your Secrets to a Robot?